Introducing the (updated) Monoposto Chronograph by Autodromo. Great design knows no boundaries. So it shouldn't come as a surprise that the post-World War II golden age of Italian automotive design—from the 1940s through the 1970s—has influenced the world of watch design as well as the world of cars. Automakers like Alfa Romeo, Ferrari, Lamborghini, Lancia, and Maserati immediately conjure up visions of sleek, aerodynamic lines that feel as appropriate on a sports car as a timepiece. 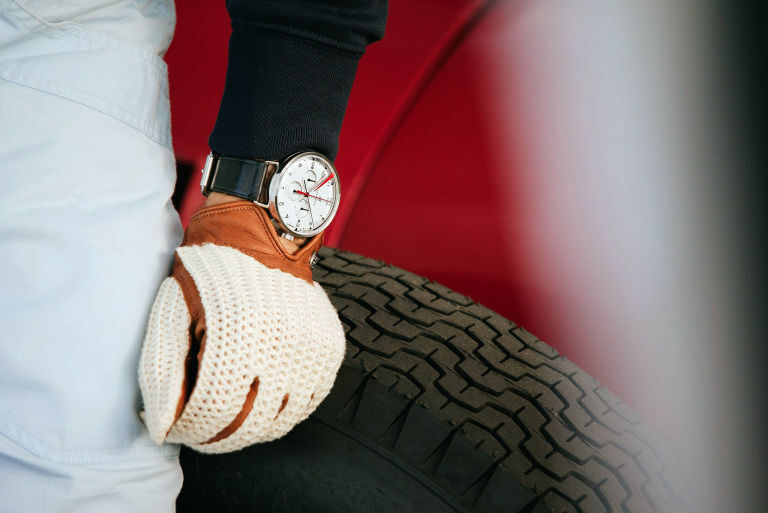 Watches and driving are, after all, intimately linked, with accurately measuring speed an all-important aspect of auto racing. 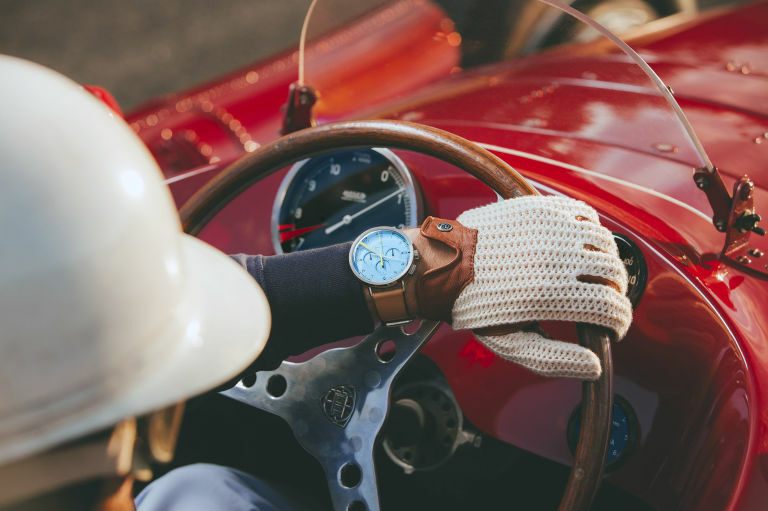 These famous sports cars have captured the imagination of drivers and collectors ever since—perhaps none more than Brooklyn-based independent watchmaker Bradley Price, the designer behind timepiece and accessories line Autodromo. "I chose the name because it has an Italian ring to it, and my passion is for Italian cars and Italian design—primarily 20th Century cars from the '50s, '60s, and '70s," Bradley says. "It just sounded right." The latest addition to the Autodromo collection is a reissued riff on the Monoposto Chronograph. 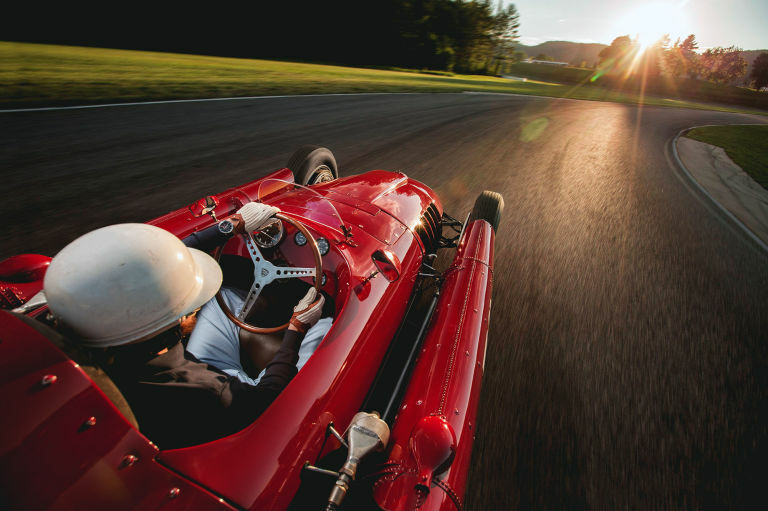 Translated as "single seat," the name refers to an open-body race car that essentially pits man against track. "The Monoposto is specifically based on 1950s Grand Prix tachometers made by Italian manufacturer Veglia" explains Bradley. "It's always a matter of starting with something literal and then stepping back to create more of a watch. You subtract away detail by distilling the original down to the essential." The watch reissue picks up important DNA from the beloved (and sold-out) first edition, while adding in some new key features. It features a distinctive red or yellow line applied directly to the sapphire crystal, a smart detail lifted from the painted or taped markings that drivers used to indicate the danger zone on the sports cars' speedometers. The 43mm timepiece also features a Seiko-manufactured automatic chronograph movement, an exhibition case-back, and either a black, silver, or blue "Azzurro" dial. This newest addition joins a collection of watches and accessories for driving—everything from gloves to sunglasses to keychains. "Someday I would love to have a whole apparel collection, but every product that I develop has to be something that you can use while driving that performs well. Knowing that car enthusiasts will be really happy with the driving gloves—the credibility has to be there," Bradley explains. "People sometimes people think we are Italian, but I'm certainly proud to be an American watchmaker, especially the independent nature of the brand," he says. "There is a customer interested in looking for something special that isn't available in a store, something they could buy directly from the guy who designed it and [those customers] are thrilled to find that possibility." Drivers (and watch fans), get ready to start your engines.